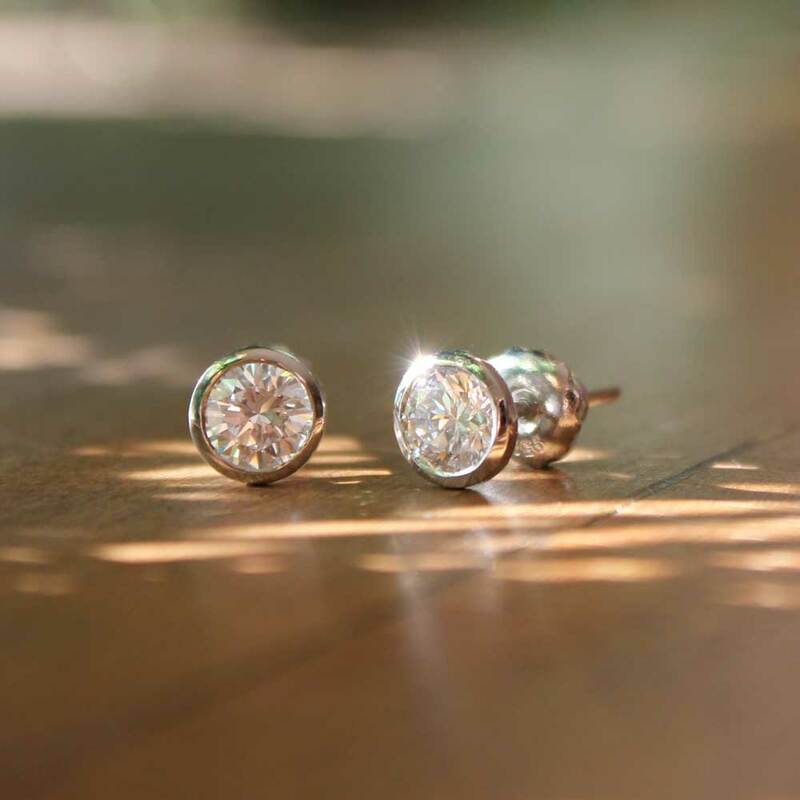 Impeccable diamonds set in platinum stud earrings. 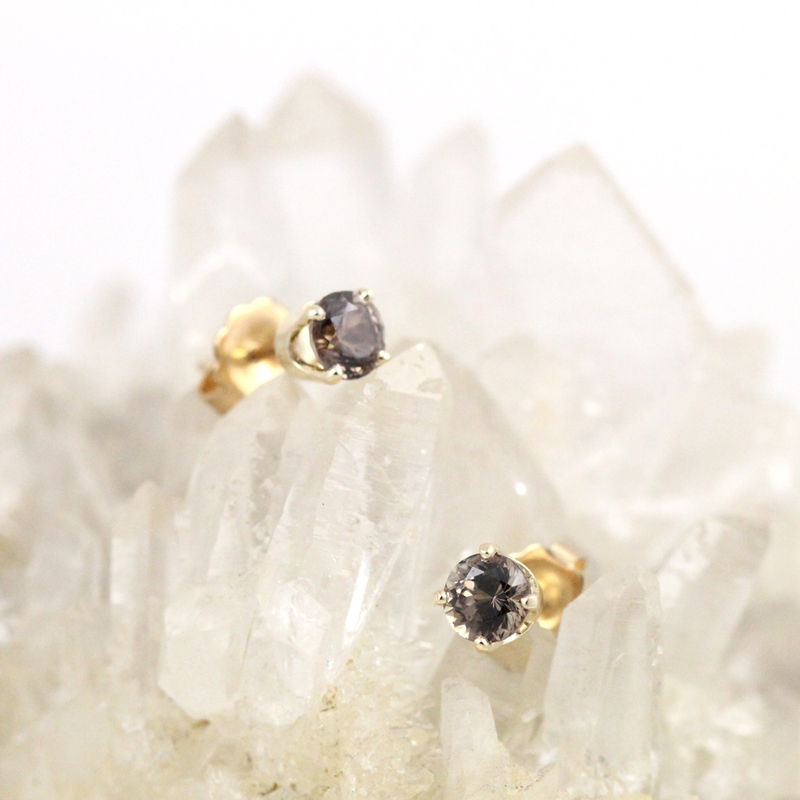 Color change garnet studs in yellow gold. 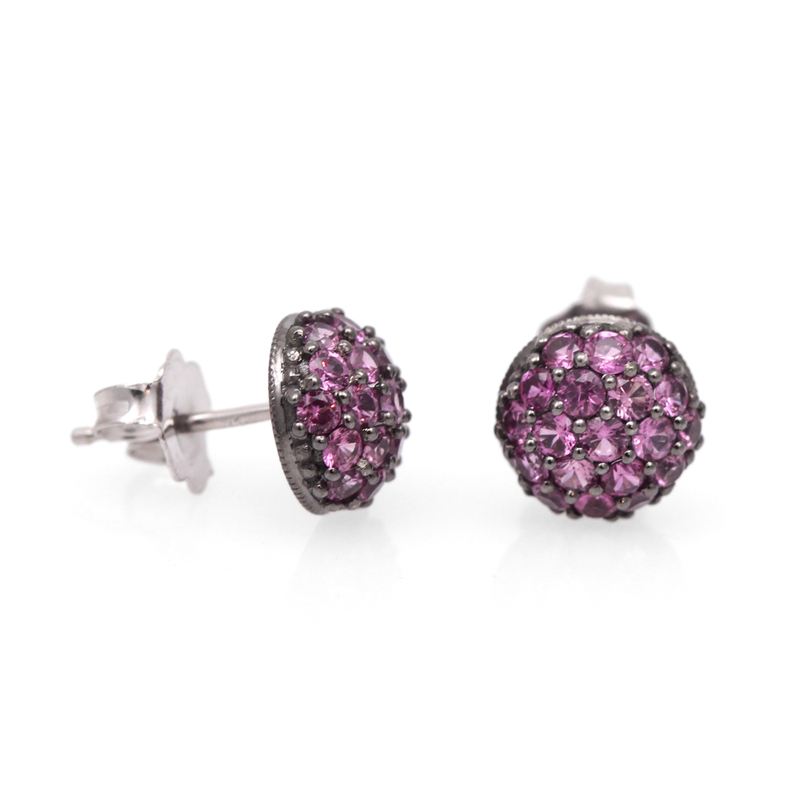 Domed, black rhodium finished gold earrings studded with pink sapphires. 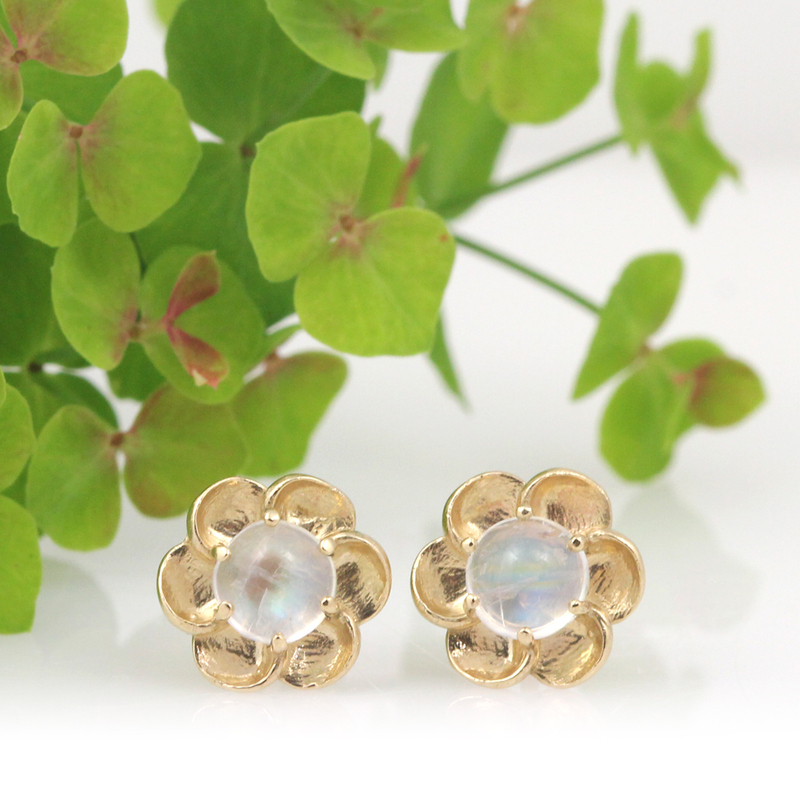 Moonstone cabochons nested in brushed gold petals by Abra exclusive designer, Arte*VItta. 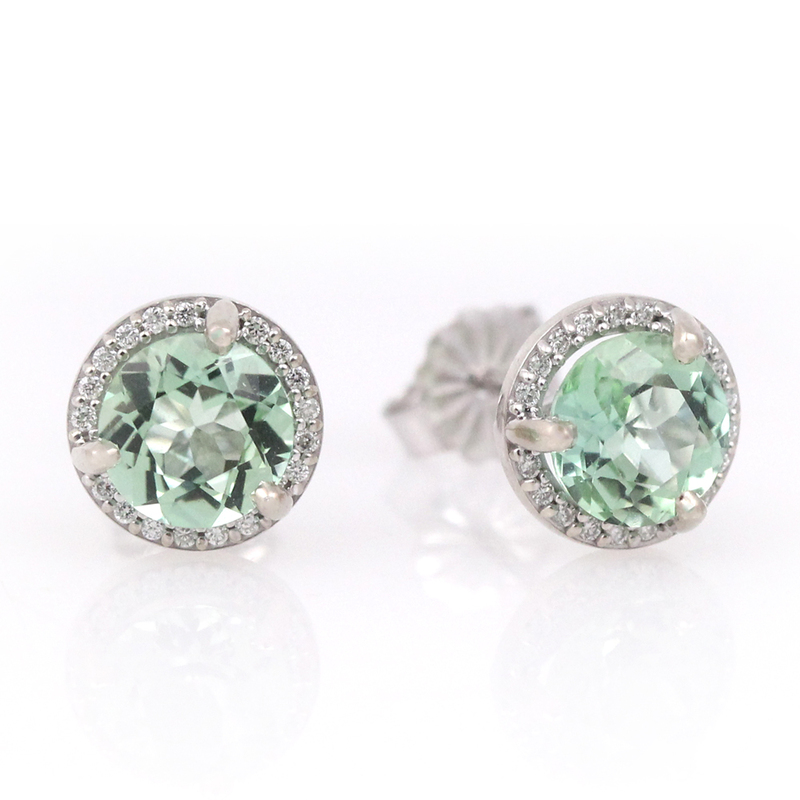 Stud earrings with pastel green beryl in diamond halos. 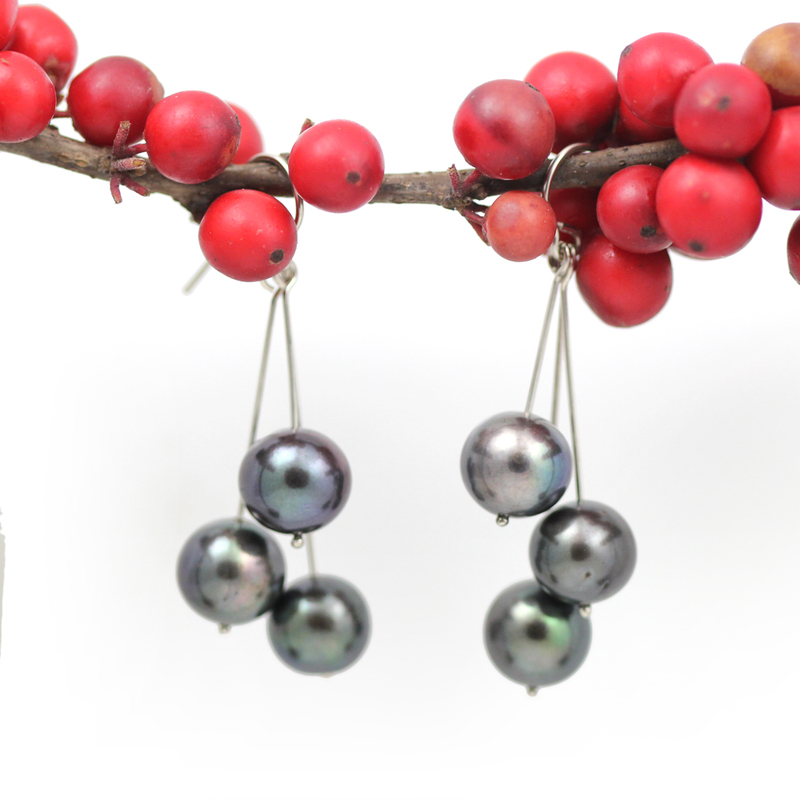 Gently cascading pearls with incredible luster and beautiful peacock hues. 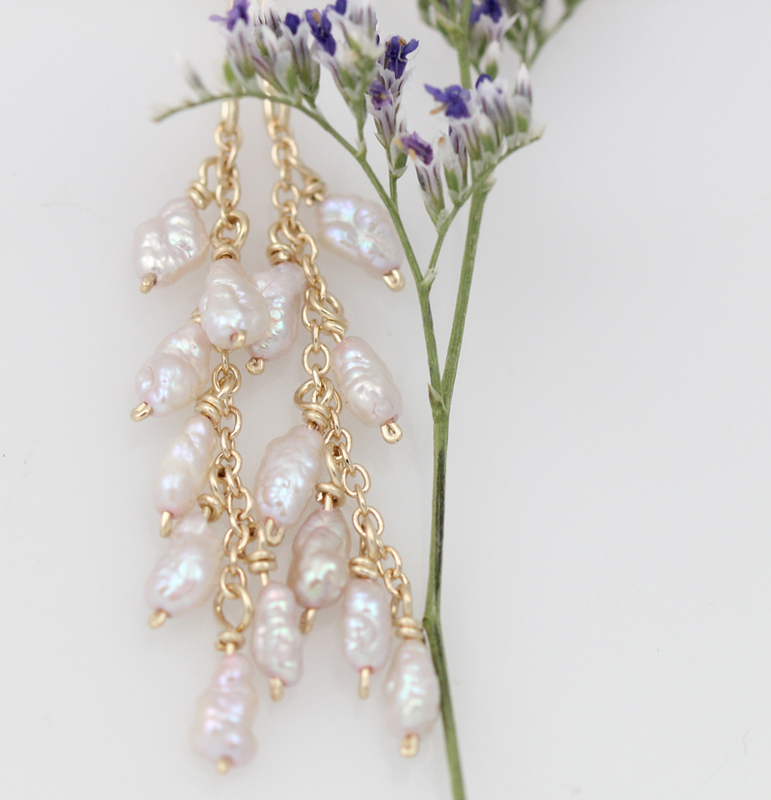 Pearl earrings featuring natural pearls wrapped by hand in yellow gold. 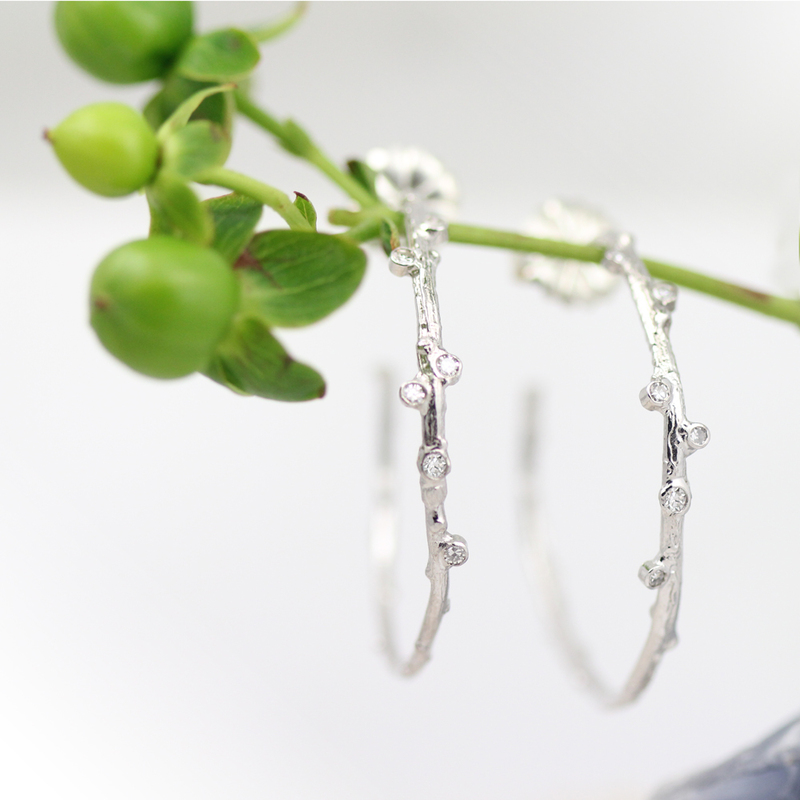 Twig hoops with diamond dewdrops in silver by Pippa Jayne Designs. 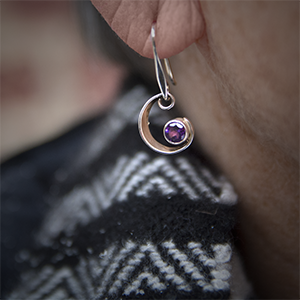 Amethyst sparkles in this ebb tide inspired silver dangle earring by Ed Levin. 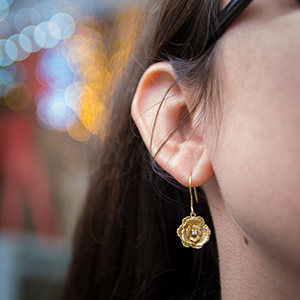 Diamonds sparkle in the center of ebullient poppy flowers.